Innovation and technology are out there, and when it comes to electronic cigarettes, we’re bringing it to you. You aren’t going to be bored with the same old products when you start vaping with VaporFi. Years of experience, knowing what our customers want, and being a team of innovators gives us plenty of edge on our competitors; use VaporFi and see for yourself! Our company was born out of a need in the market for higher standards, better made products, and being able to serve the customer with a higher caliber set of options when it comes to electronic cigarettes and personal vaporizers. If you’re here, you’re probably aware of the amount of low-end, cheaply made, and lame-performing e-cigarettes flooding the market. We don’t bite. Customer service is our top priority, and customer satisfaction is essential, so if you need to contact us, you can expect that you will be treated kindly, courteously, and never like just a transaction. 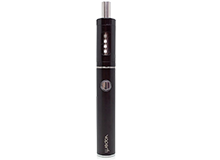 Unintimidating selection of state of the art e-cigarette vaporizers from entry-level devices to advanced vaping systems and everything in between. Top of the line e-liquids. American-Made = Awesome. Our nicotine e-liquid is always 100% made in the UK, for the very best in potency and manufacturing standards. Our liquid base is comprised of “USP Grade Kosher” materials. Our glycerin is of the purest standards, sourced from Soybean so it is free of peanuts, in addition to being diacetyl-free. Our juice goes far beyond food grade, they are designed to be inhaled! Take flavour into your own hands. Or mouth. Customize flavour base to your palate. Our entire line of e-liquids covers a wide array of flavour options, allowing you to choose what you want from a list of many, versus settling for a limited number of options most other brands present. You decide, you mix, you use without settling for a prepackaged taste in doing so. When it comes to shopping we’re giving you the best of both worlds. VaporFi products are available for sale through this very website and at our specialty retail locations. Sure, brick and mortar shopping allow you to touch, feel, and see our electronic cigarettes and, most importantly, taste our variety of flavours before you buy. Although there some equally awesome advantages of shopping in the comfort of your own home. We’re inviting you to step out of the box when vaping. Get out of the mindset that vaping is done only with models that look like traditional cigarettes. Those are great for some folks, (you know, beginners) but you can have more- as in nicotine, throat hit, vapour, flavour, and battery life that is truly incredibly powerful and long-lasting. If you’re using electronic cigarettes, you’re a grown up, and you don’t need companies pre-filling and doing things for you! Take control, vape better, and enjoy life a little more. Your satisfaction is our aim!